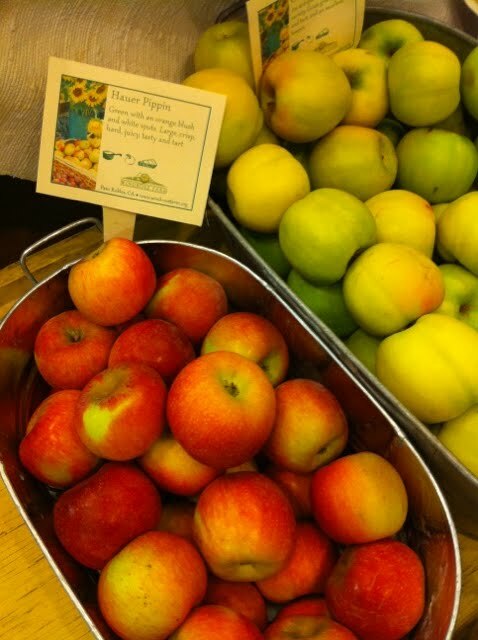 Such Beautiful Autumn Apples – $2.00/lb. Winter Luxury Pie Pumpkin – the best! Large heads and bunches $1.50 or $2.00 / lb. loose – $6.00 / lb. Spigarello – baby head and leaf – $6.00/lb. Herbs – $1.50/bunch – Time for sage!